Another patient, reported in the same article, was a 58 year old orthopedic surgeon who suffered a closed head injury in a motor vehicle accident. 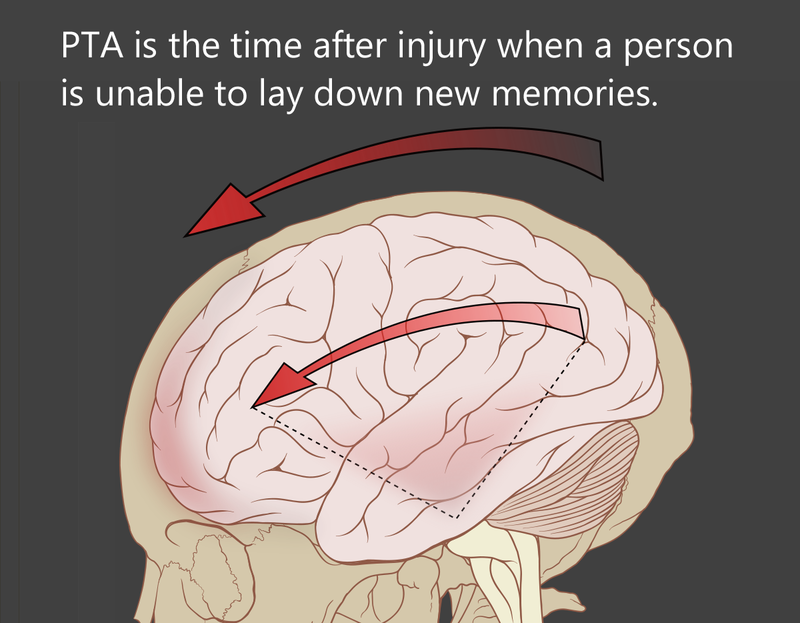 He was diagnosed with diencephalic amnesia secondary to trauma. He had difficulty distinguishing between fantasy and reality, and experienced overwhelming anxiety during periods of disorientation. His amnesia improved 28% on immediate recall and 39% on delayed recall after only one week of daily CES treatments. These changes were accompanied by several other behavioral improvements, such as better acceptance and compliance with his treatment program, longer periods of lucidity, and more interaction with other patients and staff on the ward. Childs, A., and M.L. Crismon, (1988) The use of cranial electrotherapy stimulation in post-traumatic amnesia: a report of two cases. Brain Injury, 2:243-247. This entry was posted in Inflammation on July 25, 2017 by cesadmin. In cranial electrotherapy stimulation (CES), microcurrent levels of electrical stimulation are passed across the head via electrodes clipped to the ear lobes. After successful clinical use of CES with fibromyalgia patients in our clinic, it was decided to test these results with a double-blind, placebo-controlled study in which 60 randomly assigned patients were given 3 weeks of 1-hour-daily CES treatments, sham CES treatments, or were held as wait-in-line controls for any placebo effect in the sham-treated patients. Treated patients showed a 28% improvement in tender point scores, and a 27% improvement in self-rated scores of general pain level. The number of subjects rating their quality of sleep as poor dropped from 60% at the beginning of the study to 5%. In addition, there were significant gains in the self-rated feelings of well-being and quality of life, plus gains in six stress-related psychological test measures. No placebo effect was found among the sham-treated controls. A theoretical role of CES in affecting the brain’s pain message mechanisms and/or neurohormonal control systems is discussed. It is concluded that CES is as effective as the drug therapies in several trials, with no negative side effects, and deserves further consideration as an additional agent for the treatment of fibromyalgia. This entry was posted in Inflammation on July 13, 2017 by cesadmin. The suggested use on the package shows as a dietary supplement…But this is not, read above and count how many vitamins it has. 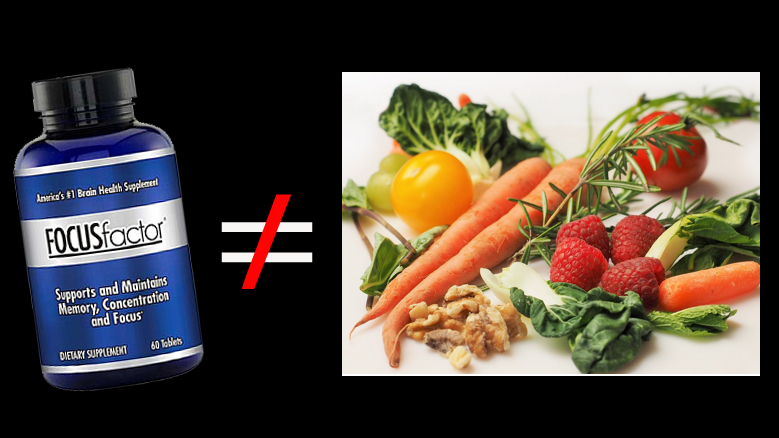 TOO MUCH OF ANY VITAMIN CAN CAUSE TOXICITY. The common signs of this condition include: A sudden fever, low blood pressure, HEADACHE, muscle aches, confusion, diarrhea, nausea, vomiting. There are reports it causes headaches, as well as other side effects, if you read through the customer feedback posted online. Plus, there’s no detail about the supposed clinical study that supports claims. Before going for company-produced boosters try what our mother nature gives to you, veggies, fruits, berries, nuts; or even better – do not use boosters at all, enjoy natural food instead. Read What does the food you eat have to do with how your brain functions? This entry was posted in Alternative Health on July 11, 2017 by cesadmin. Depleted supplies of “feel good” transmitters means it will be impossible for you to feel happy, upbeat, motivated or on track. You will feel just the opposite: A decrease in energy and interest, feelings of worthlessness and a pervasive sense of helplessness to control the course of your life. 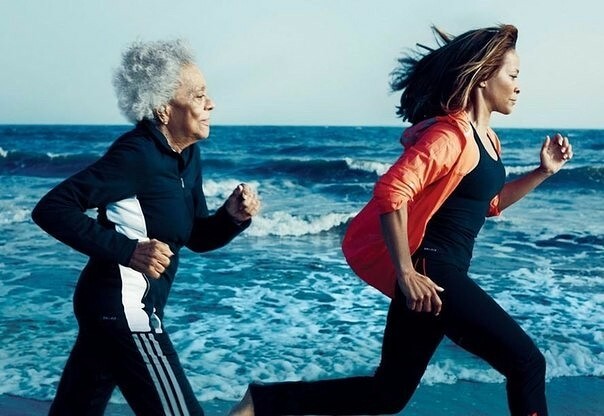 In addition to a change in mood, some scientists say that endorphins make our immune system stronger, lower blood pressure and could even slow down our body’s aging process. Endorphins have anti-aging effect by removing Superoxide: The oxygen coming into the body from breathing can change into a Superoxide. This is one of the biggest enemies for human causing diseases and aging. Some scientists claim that Endorphins can remove this harmful Superoxide by facilitating the production of ‘SOD’ (Superoxide Dismutase). This is possible because the Endorphins can keep the brain cells young and healthy. SOD is the enzyme which neutralized the toxicity of the harmful Superoxide. Therefore Endorphins have anti-aging effect. Scientists now know of at least seven chemicals in the endorphin family that have effects on memory and learning. Endorphins, according to neuroscientists, “serve as the body’s ‘natural reward system,’ providing us with a rush of pleasure whenever we learn something or act in some way that is conducive to our survival as a species.” This means that new belief system designed to effect desirable behavior changes, if presented to the mind when it is flooded with endorphins, may be perceived as beneficial and adopted as such. Endorphins enhance our immune system: When they are secreted, they activate natural killer cells (NK cells) and thereby increase our immune system. Under stress, your immunocompetence is reduced remarkably. NK cells are likely to lose their effects under stress. NK cells, which take responsibility for the immune system by killing defective cells, also have the ability to kill cancer cells. The release of endorphins lowers the blood pressure, a major indicator in heart disease, and has even been implicated in the fight against cancer. During stress, people who secrete endorphins have lower heart rate reactivity. Chronic anger can have serious consequences on our health , resulting in hypertension, increased cholesterol levels, damaged or blocked arteries, aggravated heart disease, increased susceptibility to infection ( due to depressed immune system), and longer recovery time from major traumas to the body. When acted out, anger can result in physical violence inflicted on others, and when internalized inwards, anger can result in depression, and may lead to unhealthy coping mechanisms, such as alcohol or substance misuse. Endorphins play an important role in reducing depression According to the Mayo Clinic, endorphins, nature’s free gift to us, is one way to alleviate depression Dr. Laskowski, with the Mayo Clinic says that, “Endorphins are the body’s natural pain reliever.” And while endorphins are known for their ability to reduce physical pain, sometimes as effective as a dose of morphine, many people do not realize that they also play a key role in reducing anxiety and depression too. The increase in norepinephrine causes adrenaline to be released and the reduction of serotonin makes sleep difficult to impossible. It is important to note that serotonin is a sleep enabling Neuro-transmitter, not a sleep inducing one. A lack of serotonin makes sleep very hard to achieve. Once the serotonin becomes available, the body demands the sleep it now badly needs. As levels are restored, you notice that you sleep better, think more clearly, are slower to anger, feel more at peace and relaxed. You find you’re more positive, focused and motivated. These feelings begin to replace negative thoughts, hopelessness and depression. 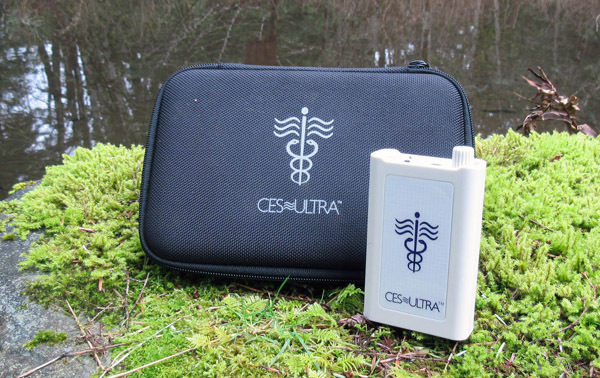 Cranial electrical stimulation (CES) devices are thought to raise alpha waves, raise blood levels of endorphins and increase conversion of amino acids into the brain’s Neuro-transmitters. This entry was posted in Aging on July 11, 2017 by cesadmin. Granted these exceptions, CES proves effective in many applications. In the western culture depression and anxiety seem the most common psychological problems of normal people in normal life. In both cases, clinicians distinguish between reactive and obscure pathology. Reactive pathology grows from an event. People feel anxiety when loved ones might die, and depression when bereaved. We label such normal feelings pathological when they persist past social norms and prevent normal productive behavior. In the Eastern culture flow of an improvement in oneness realization and improvement of chi and mastery could be emphasized. This would of course include an improved ability to learn and do. In the western world obscure pathology has no apparent relationship to any specific event. It generally has a longer history and takes longer to respond to therapy. CES can alleviate reactive depression or anxiety in about a week with one forty-five minute session per day. More severe depression and/or anxiety requires three to five weeks or more of one or more forty-five minute daily sessions in its amelioration. In the Eastern world effect would likely be seen as an improvement in capacity or a strengthening of chi or vital force can be often immediately experienced with CES but can certainly take four to six weeks or longer of regular CES usage. Many individuals receive CES as part of additional treatment programs. They usually enter the treatment program as a result of living in an environment that over stressed them. Their coping mechanisms, both physical and psychological, have failed. Typically, these patients receive therapy, stress reduction and stress management training. During the course of treatment for outpatients, or following treatment for inpatients, they enter a non-therapeutic environment. This often requires some initial support. CES can has proven useful for preventing a recurrence of pathology. People can learn more quickly when their being (at different levels) is improved. People can heal and learn much more easily when free from stress. The stress response makes any but the most immediate and reflexive learning difficult. Learning relaxation despite stress has proven particularly difficult. This difficulty also blocks healing. CES can free us from the effects of the stress response. We can learn anything, especially relaxation, better and faster. This entry was posted in CES Research on July 9, 2017 by cesadmin.